I received my copy of Palo Brakamundo by Carlos Alberto Rojas Calderon and approached it with caution. I asked myself, will this be another one of those typical tratados that are nothing more than copies of notebooks which have been circulated among Paleros and have little depth or meaning and are often just peices of Lydia Cabrera’s “El Monte”? Maybe this will be another poorly written book by a practitioner that rambles on endlessly? After just skimming through the book however I was pleasantly surprised to see this was not the case. The book begins exploring Palo’s development in Cuba which I found to be accurate yet brief. The author briefly mentions what life may have been like for the plantation slaves and how they developed their practices. However he fails to even mentionthe role of the different Palenques (runaway slave settlements) and Cabildos (Mutual Aid Societies) both of which were of great importance to Palo’s development and history. He mentions Africa numerous times but doesn’t explore the beginnings of the slave trade or the first interactions between Europeans and “Congos.” Congos aren’t fully defined either. It becomes obvious that the book does not take historical fact into account, it briefly skims over history and instantly turns its focus to folkloric belief beginning with an account of creation and the relationship between men and women and the Supreme Creator, referred to as Zambia. Several pages of the book are filled with this type of Palo lore which is good to know since it is part of the tradition. In other words don’t expect an academic approach to Palo, rather expect a traditional folkloric one. The good thing is that the book seems to be well written, it is easy to understand and the author doesn’t sound like he’s babbling on senselessly. As with most practitioners, the author approaches folkloric accounts as if they are a matter of fact, the novice should be aware that while this is habitual for practitioners these stories cannot be verified. For example he writes, “there were 29 mpungos that never made it across the ocean to Cuba.” This would be a difficult thing to prove since no one has been able to trace the pantheon of mpungu (kimpungulu) from Cuba that is identical in Africa. The rest of accounts describing the mpungo are brief yet informative and appropriate for the novice. 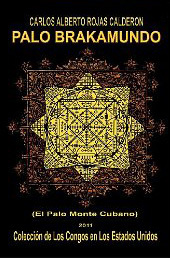 Another example of a confusion between folklore and factual history is a claim that the first nkisi of Zarabanda in Cuba was made on May 20, 1553 and was named Mala Fama Batalla Zunzu Carabali Cubri Congo, a date that is impossible to be traced and a name that is highly unlikely since the reference to the “Carabali” are references to slaves that came from the Calabar port in present day Nigeria and most likely weren’t on the island in the middle of the 1500’s and wouldn’t have been referred to as Carabali that early. The book also presents us with a typical explanation of syncretism between the mpungos and Catholic Saints which would could be erroneous as well. The belief that “slaves” used Saints becausethey were forced to in order to hide their beliefs may be true among the Yoruba which arrived in Cuba at the end of the slave trade and had a very different history than the “Congo” but is unlikely among the Congo who freely adapted Catholicism (and moreso its iconography). He then claims that the true feast days of the mpungo are based on a 6 month calendar and gives us those dates. Once again these bold assumptions would require further explanation because not only has it been impossible to trace back the mpungo pantheon from Cuba to Africa, without that how would we trace back feast days that would have been celebrated more than 500 years ago? If this information comes from the author’s personal experiences in Africa he should cite his sources. Although he is neither an Anthropologist or Historian the author is obviously an experienced “gangulero” or “Olu Ganga.”. Putting aside any belief in historical certainty, his chapters, “Que es el Palo Monte?”, “Como mantener una buena relacion con el Palo Monte?”, “Nganga”, “Que es el Rayamiento”, “Las simbologias”, “El Camino de los Brujos: Una experiencia unica en nuestras vidas” we hear the wise voice of an experienced elder that explains the relationship between the Palero and his surroundings. As is expected from an elder he writes his chapter entitled “Reglas” or “Rules” – as though they are absolute truths throughout the vast world of Palo. “Palo” is made up of different sects, while most of what is written is universally accepted, not all of it is. For instance he claims that no Palo temple can have a crucifix present. In my 16 yrs. as a Palero I have been to numerous Palo temples of various lineages, most of which had a crucifix present. Perhaps one of the sections of the book that interested me the most was the one that mentions a list of 23 dead Tatas and Yayas, with brief biographies on 3 of them. I wish he would have provided biographies for all 23 however and why they play such an important role in Palo today. The same can be said for the section on plants, where 6 are breifly mentioned. The author gives several prayers as well, these will be useful for the practitioner, although a translation for all and not just some would have been helpful as well. When it comes to patimpembas – firmas, the drawings that are used in Palo practice, the author doesn’t only give us the typical firmas such as “Firma de Sarabanda, Firma de Siete Rayos” etc. Sure, those are there, but he also gives firmas for the days of the week, time (today, tomorrow, night time), as well as the different seasons and the new year just to name a few. While I would never use firmas from a book in my practice I can certainly appreciate the fact that the author shares this knowledge with us. The rest of the book is mostly useful to the novice and it is as good to read as it is for an ngueyo to sit with a Tata of another branch of Palo and hear him go over the basics such as what is an mpaka, the importance of the Ceiba and what is initiation. He also goes over his belief of the correlation between the different body parts and mpungos as well as the meaning and use of different colors. The book is completed with a small glossary which will come in handy for the ngueyo. In conclusion I recommend this book as a buy for the novice that will keep in mind that when speaking to most elders lore cannot be taken literally and a conversation with an elder of another lineage cannot replace what you should learn from your own lineage. Unfortunately the topics in this book are just too vast to cover in 230 pages. If each topic discussed were to be covered in detail we would need an encyclopedia. At $3.99 the Kindle price is unbeatable.